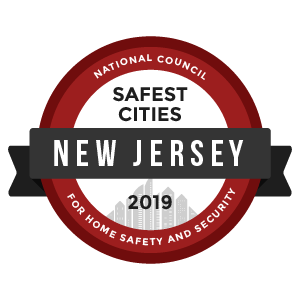 Motorists in New Jersey and throughout the nation are asked to join a day-long effort on October 10, 2018, designed to increase awareness about safe driving behaviors and keep the State’s roadways fatality free for one-day. To support this effort, the Montgomery Township Police Department will participate in Put the Brakes on Fatalities Day by promoting motor vehicle, bicycle and pedestrian safety. In 2016 New Jersey saw 604 individuals lost their lives in motor vehicle-related crashes, up from 562 in 2015. Pedestrian fatalities decreased from 173 in 2015 to 165 in 2016. Even though the number decreased this number represents 27.3% of all crashes while nationally pedestrian fatalities are at 15%. Statewide law enforcement agencies will be utilizing their variable message boards and conducting educational activities to raise public awareness regarding this issue during the week of October 3rd ending with “Brakes on Fatalities Day on October 10th. “Put the Brakes on Fatalities Day not only raises awareness about the individual responsibility we have for our driving behaviors, but also engages drivers in making positive changes behind-the-wheel every day of the year,” Captain Wain added.